Campaign Dial Level Schedule is a feature in which the system can be scheduled to use different dial level at different times. 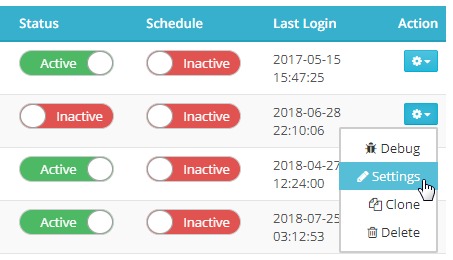 This feature is useful to admins if they wanted to make sure that the system will only dial a specific timezone on a specific schedule. This feature can help admin manages its dial level based on their needs. 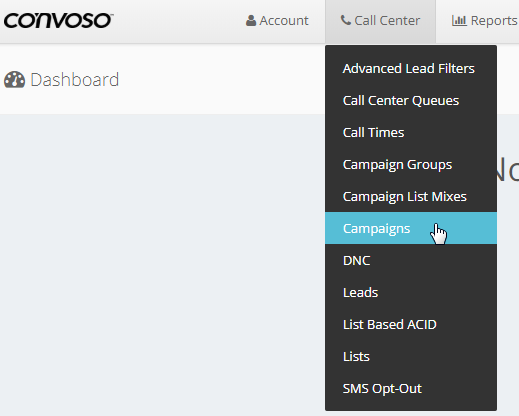 In the Dashboard, go to Call Center and select Campaigns. Under Show Campaigns, Click on the Action Button and select Settings. Timezone - Select the Timezone the system will follow. Under Run Dial Level Settings Tab, configure the following. Dial Level - This is the Dial Level system will use during the time period. Start and Stop - Select the time period for the system to use specified Dial Level. Add Time - To further customize campaign dial levels, additional dial levels schedule can be per day. Note: If any of the days are not configured or skipped, the system will follow the campaign default Dial Level of the campaign. Every day the admin wants the system to use the default campaign dial level. However, every Monday he wanted to use different dial level at different times. Dial Level 2 between 11:00 AM to 12:00 PM PST. Dial Level 3 between 1:00 PM to 2:00 PM PST. Here is how the Schedule needs to be configured. Monday should have Dial Level Schedule Entries. Dial Level 2.0 will start at 11:00 AM and will end at 12:00 PM PST. Dial Level 3.0 will start at 1:00 PM and will end at 2:00 PM PST.